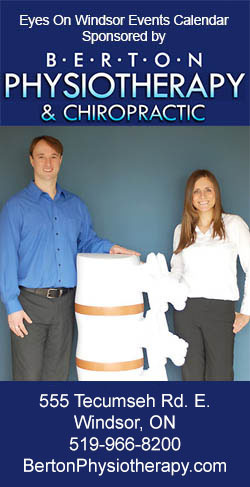 Posted on February 15, 2013 by Eric Bonnici wrote in Burgers, East Windsor Restaurants, Featured East Windsor Restaurants, Featured Pizza and Pizzerias, Featured Subs and Sandwiches, Pizza and Pizzerias, Pubs, Subs and Sandwiches. It has 3 Comments. 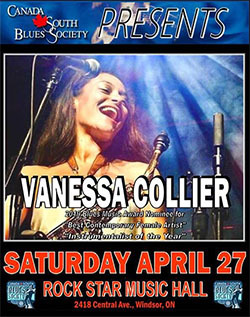 Rockhead Pub Windsor offers the ultimate “pub life with an edge” experience featuring fabulous food, cool drinks, friendly service, live entertainment, and just the right amount of flair that keeps customers coming back for more. Rockhead features a comfy bar and lounge, perfect to chat with friends, meet new people, enjoy a casual meal with family, listen to the DJ or band, or to watch your favourite sporting event on T.V. The beautiful brick bar is topped with hand-crafted custom Chicago bar rails on a classic wood top finishing. The cozy casual pub’s wood decor extends to the walls, tables, and chairs. Sections of exposed brick walls add a nice touch to this rustic pub. The game room is perfect for playing pool, pinball, and hanging out with larger groups. In addition, a spacious room located downstairs, hosts a bar and amenities that can be reserved to host private functions for just over 90 people. Rockhead Pub takes great pride in serving menu items that exceed typical pub food expectations. Savoury appetizers range from the Rockhead poutine to the Rockhead party platter. Soups, Salads, Deli Sandwiches, wraps and Burgers are classics to be enjoyed in the afternoon or evenings. In addition, several mouth watering entrees like the pan seared pepper steak smothered in Rockhead homemade creamy mushroom and pepper sauce are made fresh in the kitchen. 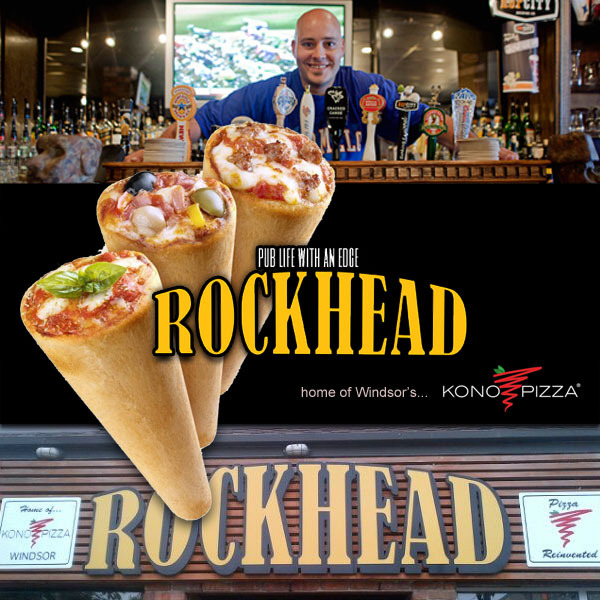 Finally, Rockhead Pub has brought a delicious and innovative pizza concept to Windsor. Quite simply, pizza never has to be served flat or greasy again. 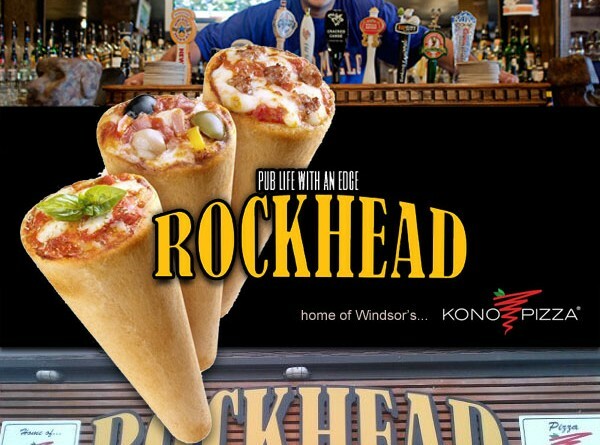 Rockhead is “The Home of Kono Pizza in Windsor”. Kono Pizza is simply pizza in a cone, specially prepared and cooked, and delighting picky pizza lovers with savoury flavour. While you’ll find the expected Classic Kono Pizza Kono’s, you might be surprised (and delighted) by the Deli and Sweet Dessert Kono Cones too. 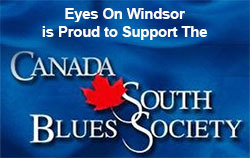 Located on Ottawa street this pub / restaurant in Windsor Ontario known as Rockhead Pub warmly invites customers to join them for “pub life with an edge”. You have to get there and try their Pizza Konos! So unreal. Hi Josh, it was pleasure trying them out for the first time with you. Thanks for treating… I can’t stop thinking about the Nutella and Peanut Butter dessert Kono!